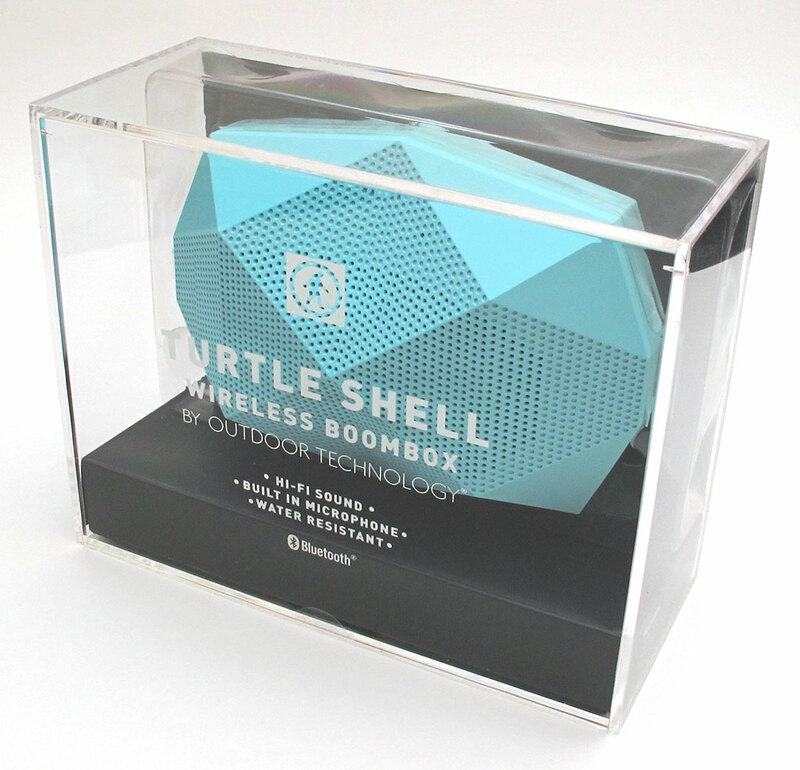 Outdoor Tech has provided me with their wireless go anywhere boom box, dubbed the Turtle Shell. 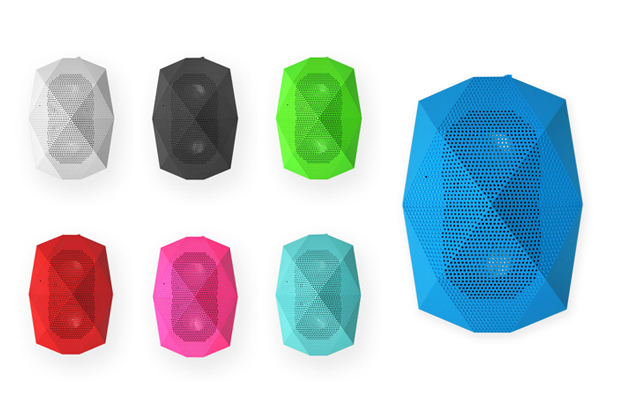 Appropriately named after the design of the Bluetooth speaker, the Turtle Shell has an angular design built for the desk and the elements of the outdoors by being water resistant, dust proof, and shock proof. Outside of being a glutton for punishment, the speaker also totes a speakerphone and microphone for conference calls, from poolside, topped with onboard controls while your Bluetooth device is safely dry. What else is unique to Outdoor Tech's boom box is that it houses standard camera threading allowing to mounting on a tripod or Outdoor Tech accessory; I used my Joby Magnetic GorillaPod. We have seen many Bluetooth speakers on our doorstep, and usually each one is different and has some unique feature to it. In the case of Outdoor Tech, it was a little harder to figure out that the feature was the design, because you strap some wheels on it and you have the Batmobile. Having the standard camera threading, you can do just that by being creative with some camera accesories. I wanted to take the turtle shell everywhere because it fit in my bag nicely, offered plenty of playback for the work day, tells the elements to piss off, and most of all for the sound. The depth of the mids and lows were impressive and in terms of depth, the Turtle Shell takes the cake. I am about to bring out the crotchety old man, because straight out of the unique packaging I noticed the charging cable. It is not the standard micro USB connection, but a unique fit, so be sure to know exactly where it is when the battery dies. The Turtle Shell is wider and heavier than I had expected, enough to quickly learn not transport in pockets, unless you had a big lunch. I then hoped that with the additional weight came additional listening time and it does not as the Turtle Shell provides the same amount of juice if not a more than some of the more budget speakers. The Turtle Shell is a fun speaker, whether used as a conversational peice or Boom Box, it will get the job done in spades. 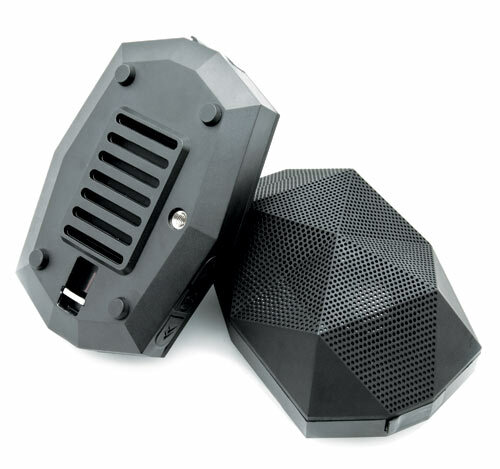 On top of easily filling most any room with a wide range of sound, 96 decibels worth, it is small and easy to carry around in most any backpack or laptop bag. While it does not have the ability to charge devices from it and does not use a standard charger, it is easily in my top 3 for sound against other bluetooth speakers in the same size and price range. 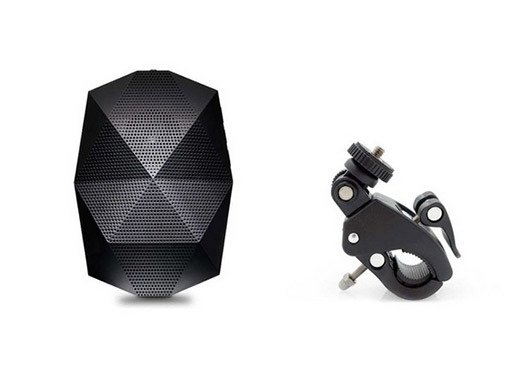 Also, if you still require more sound then you might want to wait a bit as Outdoor Tech will be releasing the Armadillo soon and that bad boy will be packing twice the heat.